Join us on The Mezzanine with Sprout Patterns for a hands-on sewing class. Sprout will provide the pattern and all materials needed and instructors will walk the class through the steps of creating a Durham zipper pouch. Space is limited. Purchase tickets here. All skill levels are welcome. We have just 5 machines for students to use, so participants are encouraged to bring their own along with their favorite thread. Snacks will be provided and all participants will receive a coupon for 25% off a purchase at Sprout Patterns. The class begins just after brunch service in the restaurant. Call for reservations at 919-768-8831. Sprout Patterns is a service that offers public indie sewing patterns that you combine with Spoonflower designs to create customized cut and sew projects. 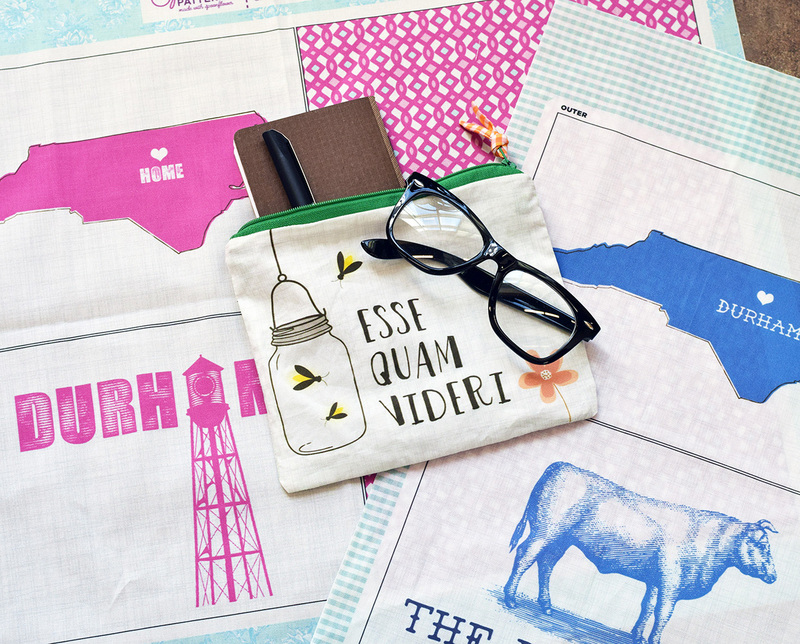 Each project is digitally printed by Spoonflower at their Durham, NC headquarters. Sprout Patterns takes out all the work of putting a sewing pattern onto fabric and leave you with all the fun.